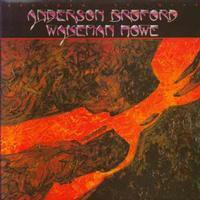 This single from Anderson, Bruford Wakeman and Howe is out of print, of course, but these days, it’s not that hard (or sometimes expensive) to get your hands on something like this. The two tracks here are intriguing. For one thing we get a single edit of one of the songs from the ABWH album. Then there’s an unreleased track that I like better than some of the songs that made it on the disc. In fact, I’d say this is worth having in one form another specifically for that track. It’s great! I’ve reviewed the vinyl version of this last issue, but this CD single gives those without a turntable and option to get this. However, since the songs are the same, much of this review (and the track by track in particular) are the same as that review for the sake of consistency.